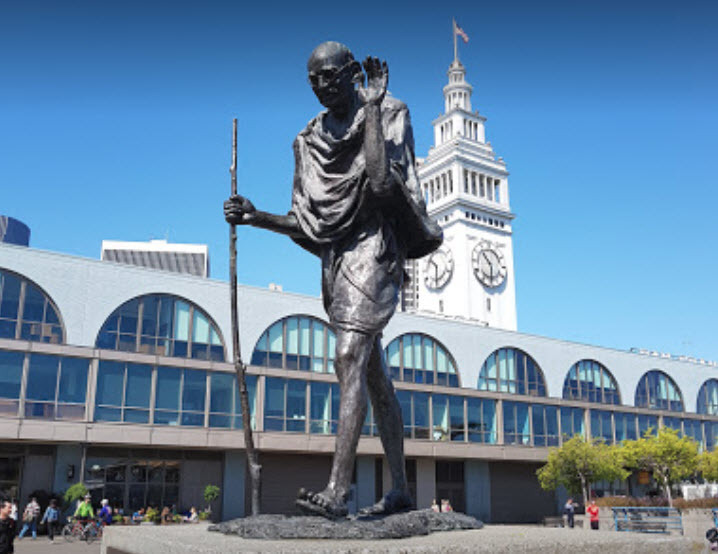 The statue at the right is found behind the Ferry building in San Francisco, and bears a great quote by Ghandi: “My life is my message”. This is a particular great quote for BizTalk developers, as BizTalk is a “messaging system” that implements business processes, and allows companies to Integrate System and do B2B communication to and from vendors. Neal Walters has been in Information Technology since 1980, and doing BizTalk since 2001. He is a Microsoft Certified Trainer, and has taught the official Microsoft BizTalk courseware about 20 times. He attended a “train-the-trainer” workshop in Redmond when BizTalk 2004 came out (a major change from BizTalk 2002). Since 2004, he has been exclusively working on consulting projects that have BizTalk at the core. He has created B2B interfaces to Amazon, fraud systems, insurance systems, HIPAA, banking applications, SQL, and proprietary back-end systems. He also deals with WCF and Entity Framework. So many websites have no ‘personal’ touch behind them. I was teaching a lot of XML/XSLT classes before BizTalk came out, so when BizTalk 2000 came on the scene, I assumed it was the next thing to learn. After teaching Biztalk 2000/2002 a few times, I was fortunate to attend the train-the-trainer class for BizTalk 2004, then I probably taught the class a dozen times, at which point I moved into full time consulting instead of training. Since then, I have spent 12 years focusing on enterprise solutions centered around BizTalk, but also including .NET, C#, SQL Server, InfoPath and SharePoint. I have worked in the following industries: Banking, Insurance, Mortgage, Government/Healthcare/Medicaid/HIPAA, Non-Profit, and Student Loans, Airline, and Manufacturing/Reverse Logistics. Before that, I was a mainframe database administrator for CA-IDMS (formerly Cullinane/Cullinet). It was one of the first large CODASYL network databases that began in the early 80s. I missed the training aspect, and love to teach, so I started making videos and providing them on the web. I’m happy to say I lost 30 pounds since the video below!